XLeague weeks three and four overlapped so we decided to wait and see how it all shook out before updating the power rankings.......and yeah....it's a mess. Listen if all you players and coaches out there can’t show any consistency don’t complain when we decide your fate by rolling a twenty-sided die. If you aren’t happy with that explanation remember each power ranking position is worth approximately 20,000 yen. We promise to spend any brib....uh...donations on camera equipment to make you look better so think of it as an investment. Anyway to paraphrase Dave Dameshek - Don’t blame us. We didn’t do this to you. YOU did this to you. Apart from the winless Bulls, Panasonic are the only team with an obvious ranking. The sole unbeaten side after four games was our preseason pick to win it all, and the Osaka-based outfit have looked increasingly likely to do just that. Top seeding in the playoffs is in their own hands but with Obic and Nojima to come it won’t be straightforward. We’re really looking forward to seeing how the powerful Impulse defense deals with the freescoring Rise. No team though is as deep across the board or as balanced as Panasonic. It’d be no surprise to see them hold this spot all the way to Jan 3rd. Defense wins championships? The Rise are out to prove that old chestnut wrong. Obic game in the rain aside, Nojima have been a scoring machine. They’ve needed to be as the defense has given up 42 and 35 points in consecutive weeks. Still though when you can march down the field at will does that matter? We’ll find out on the 29th when they play Panasonic in Yokohama. Before that though Devin Gardner and co have the Black Eagles to contend with. Hard to see it being anything other than a repeat of the opener against the Bulls. Gardner by the way threw another five TDs against Lixil to go with the seven he accounted for against IBM. Rookie of the year in 2016. Almost certain to be MVP this time. Yes Fujitsu lost in Osaka but it’s clear Panasonic are the team to beat this year. The way the Impulse defense shut down the Frontiers though was surprising. No cause for alarm however. Games between those two sides can always go either way and we’re sure Fujitsu will adjust and correct what they need to ahead of the teams next meeting. That could very well be the Japan X Bowl in December but let’s not get too far ahead of ourselves. 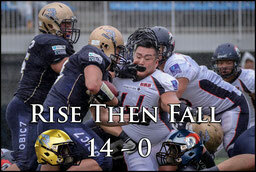 Both teams still have to face Obic Seagulls and Panasonic also have the Rise on their schedule. Fujitsu meanwhile host a Challengers team that’s been experiencing growing pains this season. That’s one they should win but as Elecom showed against IBM the Kansai teams are stronger across the board than they were in 2016. It’s hard to knock IBM for losing to Nojima when they put up 42 points against one of the better teams in the league, but the way their defense was unlocked will be a cause for concern. To be fair there isn’t another player like Devin Gardner in the league and some of the throws and runs he made in that game were of the highest quality. Had it been anyone else under center the sack total would have been high. There were no such defensive issues against the Finies but it was the offense’s turn to misfire in that game. Not to take anything away from the Kobe side which has some game changers on that side of the ball but IBM were our top ranked team prior to the Rise game and we expected a strong bounce back performance. No chance to rest and heal up either as an improving Lixil are this week's opponent. Good and all as Big Blue's defense is we don't see it holding Lixil to ten points so the offense is going to have to get back to racking up the points somehow. Obic are a bit of a mystery this year blowing hot and cold - sometimes even within the same game. The 52-0 win against the Lions wasn't as impressive as it sounds as All Mitsubishi's mistakes contributed significantly to that scoreline. Against Silver Star too they needed more than half the game to get going. The good news is that Ikaika Woolsey made his regular season debut in the third quarter of the Asahi Beer matchup and looked sharp coming back from injury. 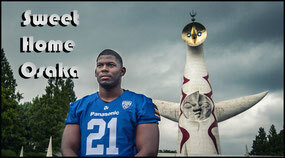 Obic are going to need him next Sunday when they travel to Osaka to take on top-ranked Impulse. It doesn't get any easier in their final game when they meet Frontiers in a repeat of last years XBowl. There isn't a huge difference between any of the sides ranked 2 ~5 if we're being honest but making all four teams joint second wouldn't generate the clicks so it's Obic's player's turn to tell us how clueless we are. Remember guys to share this joke of a ranking on all your social media platforms too to really teach us a lesson. Lixil put a fancied Asahi Beer side to the sword and then came within a field goal of upsetting Nojima. Credit where it is due. They are definitely playing better and maybe we were too harsh on them earlier in the season but there is no getting away from the fact that they haven't beaten a top five side in over a year. Since that 52-48 win over IBM on Oct 9th 2016 they are 0-5 against the teams above them in this week's rankings. Their ability to score points in a hurry though is the reason we are putting them above Elecom and they could still beat the Kobe side as well as a suddenly vulnerable Big Blue but there is also a fair chance they lose both and finish out of the playoffs. That probably won't happen but it's hard to see Lixil progressing far even if they do get there. What a performance by the Finies against Big Blue! Their defense is legit. Hard to blame the offense for not scoring when the were going up against one of best teams in the league. Still though the issues were there against the Challengers the week before as well. Hard to pinpoint exactly why touchdowns are hard to come by. They’ve got a decent running game and can hit big plays as they showed late against IBM. They will need to be more clinical in the red zone if they hope to progress in the playoffs but Finies won’t be a team any side wants to play. First things first though. Next week’s game against Silver Star is huge. Win that and they are in. The Finies could conceivably win out. They certainly have the means to limit Lixil's scoring but can they get enough points themselves? Challengers lost a close one to the Finies but showed against the Creators that even though they are experiencing growing pains they are still a class above the Battle Nine teams. With Fujitsu and Big Blue left on the schedule though it's gonna be touch and go whether the Osaka side can make the playoffs but Elecom's showing against IBM will have given them hope that they can pull off the upset next time out. Panasonic aside they've held opponents to a single score or less in each game so the defense is definitely good enough. They just have to find ways to get the ball in Donnie King's hands more. Against the massive and powerful IBM front his speed on jet sweeps or quick routes could be key. Silver Star put in another decent showing at the start but then faded again in the second half against Obic. At 1-3 and with an improving Kobe side next up they are in a pinch. If they lose that game and the Deers & Challengers win they are eliminated from the playoff race. Lixil could beat Big Blue but we don't see Fujitsu falling to Asahi Soft Drinks. A win though against Finies would put them in a great position as they are the only Super Nine team with a Battle Nine opponent in the last week. In short this next game is their season. Tokyo Gas were chugging along the first couple of weeks but two heavy shutout defeats showed they are still a ways behind the Super Nine teams. We still think they are the best side in the Battle Nine though and they'll get a chance to prove just that next time out when they take on the Lions. Those are the two sides we expect to grab the wildcard slots and we've never been wrong before. Don't check that by the way. That the Lions are 3-1 and sitting atop the Battle Nine standings two thirds of the way through the season after the way they've played just goes to show the big drop-off in level between the two divisions-within-a-division. As we said above we don't see them beating Tokyo Gas or indeed any opponent in the wildcard round - if they make it there. There are a lot of decent players on the Lions and they have potential but if they want to make the jump to Super Nine level, investment in coaching and recruitment is needed. 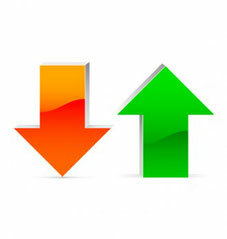 The top teams are only getting stronger so standing still is going backwards. Of course being a company team means that they are at a disadvantage in that any player must also be an employee of the organization. If you know any football players working for Mitsubishi North America you should put them in touch with the Lions. Two wins on the bounce for the Cyclones and now they'll face one of those teams (HawkEye) again. 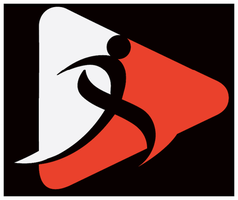 With Minerva to finish, Nagoya are definitely eyeing a wildcard slot. They'll need some other results to go their way but making the playoffs would be a huge achievement for central Japan's only X1 team. This is the highest they've been ranked all season but it may not be their ceiling. After two straight losses its probably overly generous to keep the Black Eagles at 13 but it's hard to say any of the sides below them are better. With Nojima and Club HawkEye left they are almost certain to finish on three points but whether that's going to be enough to make the wildcard round again is doubtful. 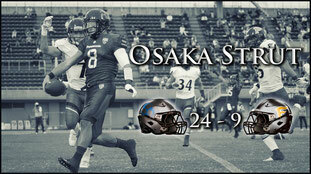 The loss to Nagoya - a team they had beaten in the season opener - was particularly damaging to their hopes. Credit to the Eagles. The almost took down the Lions. Great performance too and on the back of their win against Minerva made our prediction that they’d be in the bottom two all season last correct for all of one week. Given the way the Pirates are playing and with the Bulls far and away the worst side in X1 they might even finish 3-3 with an outside shot at the playoffs. Hey we told you Minerva were a better side than people thought. They certainly proved that in the Pirates game. Fantastic performance to get their first win in seven years in the top flight. The nature of the win was great too. Not letting heads drop when the Pirates equalized late but instead going straight down and scoring again. Bulls and Cyclones left. Two wins on the season? Three? Why not dream big? What is going on with the Pirates? Sure they've got injuries but after almost taking out the Lions in the opener it's all been downhill. An expected hammering by IBM followed by a game where they almost let the Bulls come back late to steal it and now a loss to a Minerva side that hadn't won an X1 game since 2010. It's got to be hugely disappointing for head coach David Powroznik. Parity in the Battle Nine ,means all is not lost yet but next weekend's game against the Eagles is a must-win. We feel bad about dropping HawkEye when the team got its first ever win in X1. On the flip side it came against bottom side Bulls and they did lose to the Cyclones in Nagoya the week before. HawkEye will get a chance to avenge that defeat next time out. That'll be a home game this time and because it's in Tsurumi you can pop over to Mitsui Outlet Park for a bit of discount shopping. 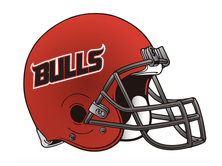 The Bulls put in a really good performance in week three, fighting back against the Pirates. It wasn't enough to get them the win though and as the Pirates subsequent loss to Minerva showed Meiji Yasuda, especially with players injured aren't quite as strong as we expected. Giving Club HawkEye their first ever win in week four though sealed the deal. The way Minerva and the Eagles are playing as well we can't see this team getting a win this season.